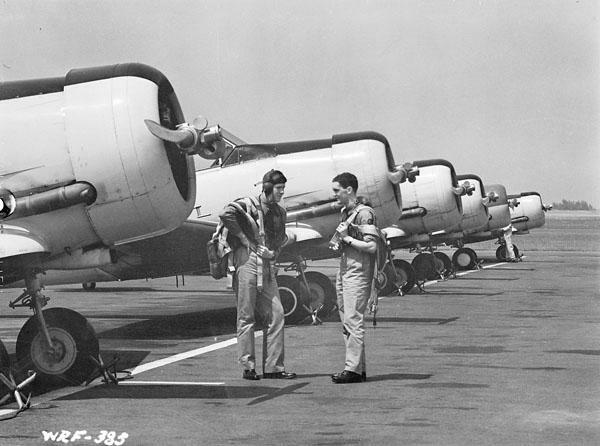 Unidentified flying instructor and student pilot with North American Harvard II aircraft of No. 2 Service Flying Training School, RCAF. Uplands, Ontario, July 1941. Photograph by Nicholas Morant, National Film Board of Canada.